Damien Hypolite, who by day works for Sciences et Avenir, is also a bit of an Assassin's Creed fan. 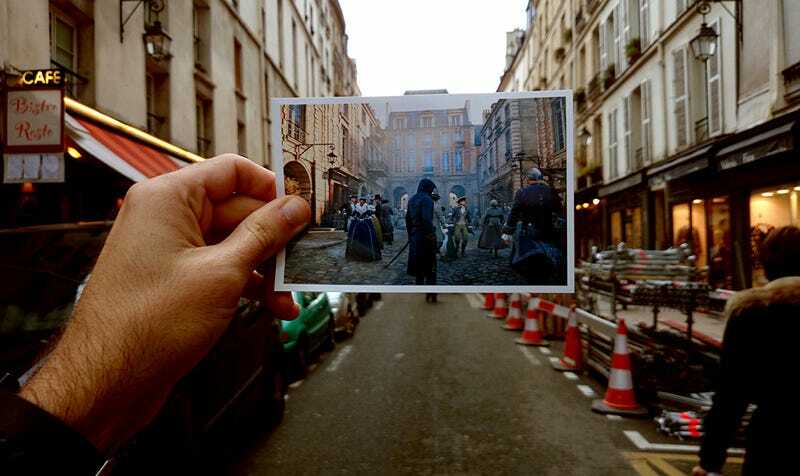 Seeing as the latest game is set in Paris, he figured he'd print out some screenshots, take them to the actual spots in the real world they're based on, and see how they shape up. As you can see, while Paris as a whole was condensed and altered to better suit a video game, most major landmarks themselves (and their surrounding areas) are pretty spot-on! The ones that aren't (like the Bastille, above, demolished during the events of the game), well, a city can change quite a bit over 200 years.